Tell them it will make them more popular. Tell them it will make them healthier. Tell them it will make them smarter. Just tell them to do it without explaining why. Cowritten with Daniella Kupor of Boston University, Michal Maimaran of Northwestern University, and Andrea Weihrauch of the University of Amsterdam, the paper will be published in the Journal of the Association for Consumer Research in January. The research is the first to examine the effects of associating actions with goals in a real-world environment, in this case four elementary schools, where children encounter countless messages daily, Huang notes. Additionally, unlike previous research that has centered on adults, Huang's study is the first to test the effectiveness of such associations on kids. In the main study, each school put up posters with a message unique to its campus. 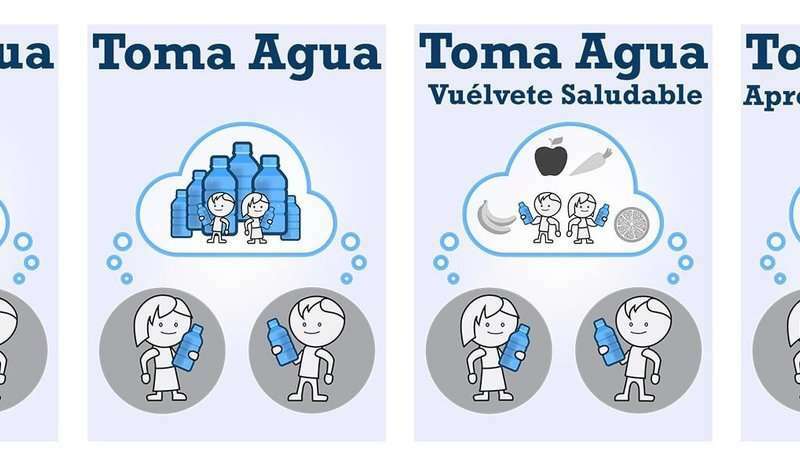 At one school, the posters implored students to drink water and "be healthy." At another, the signs said that water would help them "learn faster." At a third school, they declared that consuming water would help students "make friends," and at a fourth school the signs simply told them to "drink water," without further explanation. The posters remained on display for a month. The researchers found that children at the school where posters declared that drinking water leads to good health increased their water consumption by 31 percent, suggesting that targeting the students' pre-existing association (that water is healthy) led them to the desired outcome, says Huang. At the school with posters associating water with learning faster, consumption didn't change from the pre-study level. And at the school highlighting the questionable association between water and making friends, consumption marginally decreased. That decline may have occurred because the posters linking water to making friends "may have seemed dishonest or confusing," causing children to shun the advice to drink more water, Huang says. At the school where posters simply advised the students to drink more water, without stating why, water consumption declined significantly, by 48 percent. Like the children who were turned off by the attempt to associate drinking water with being popular, these students also may have regarded the blunt directive to drink water as manipulative. "People don't want to follow an order without any reason," says Huang. "This rule applies to children as well."